Metal detecting is a multi-faceted passion, which offers many avenues of exploration. 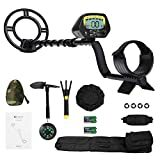 Whether it is beach hunting, looking for gold in pure form or searching for relics, you need to determine your area of interest before you purchase a metal detector. 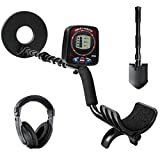 After going through thousands of metal detector reviews, we have put together some pointers to help you find the best metal detector on the market. 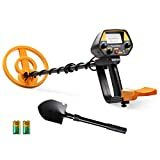 What should you consider before buying a metal detector? 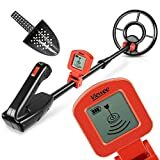 Long-time metal detector users are of the opinion that taking ‘advice’ from an expert relative, friend, or from a veteran club member is not going to be very helpful, as they themselves might be acquainted with a few models. There are different types of metal detectors available on the market. Read through the following guidelines so that you can avoid costly errors in the process. Identify your interests: You may be interested in searching for old relics and coins, gold nuggets from a forgotten gold mine, or hunting for hidden treasures in shallow water. You do not need a specialty metal detector if you are hunting for gold nuggets for a single day. 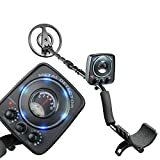 But, if you are planning to spend a considerable amount of time on your new hobby, it is best not to compromise on features and money. 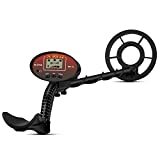 Check the size and weight: Your hunting ground can be instrumental in determining your choice of metal detector. Factors like weight and portability of the equipment are fundamental in determining the equipment. 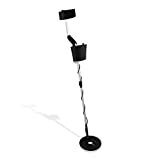 Are you going to use the metal detector in public areas, in rugged ground conditions, or on sandy beaches? 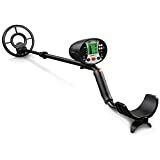 Both weather conditions and ground conditions determine the type of metal detector you are going to use. Think about your budget: Decide on the money you are comfortable in spending on the metal detector. If you are one of those people who prefers an automatic model with all the features, choosing a detector will be no different. 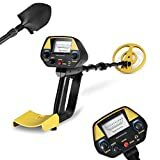 Instead of buying the top of the line, it is actually preferable to buy the second model in the product line—that way, you have spare money to spend on other accessories, such as coil covers (which protect the metal detector's coil from cuts, as well as from short circuits in damp or wet areas), trowels, scoops, and headphones (which let you hear the signals from the detector, while blocking out ambient noise, while silencing the signal from those around you).